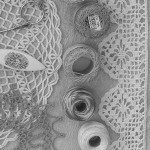 Yesterday I was reading Sister Diane of CraftyPod and she wrote about this nifty service called Flattr. Flattr is a way to express appreciation to a blogger, videographer, podcaster, or any content creator, with an easy micropayment. Micropayments? Yeah, like microlending. Have you heard of Kiva? I’ve been in love with Kiva for a few years. They are a non-profit that facilitates small loans to people around the world who need a little extra help to make their lives better. Say I lend $25, and so do you, and so do 14 other people, then pretty soon a woman in Samosa can buy baby pigs to raise and sell as livestock to expand her tiny pig farm and better support her family. What I really love is how those little payments from a lot of people add up. It’s people helping people to make better and more secure lives for themselves. Flattr is basically the same thing. You get an account and add a few bucks, then when you are visiting a blog you like, or listening to a podcast you appreciate, watching a video you love, and you want to give a little love back, simply click the Flattr button and voilá! A bit of your love goes directly to that content’s creator. At the end of each month, all your clicks are tallied and your contribution gets divided evenly among all the buttons you click. The more buttons, the less everyone gets, but everyone does get a piece of the action. And those pieces add up. Little bit by little bit. Now of course, there needs to be a Flattr button for this to work. So the more people use the service, the more people benefit. I already signed up and Flattred a couple of my favorite blogs. Another reason I love this so much is that I often want to give a little donation to a website as a thanks for some info or help or service, but I’m on a super tight budget and can’t give as much as I’d like to everyone I want. But I can budget $5 or $10 or $15 a month to distribute this way. Because I choose that this is important to me. And sometimes a special service deserves a special thanks. Which is why I’ll continue to click the donate button on blogs and widgets I use when I feel the love. Which brings me to another point…. A big, huge hug-a-bunch THANK YOU to Louine, Michelle, Karen, Heather, and Marcia, who have generously donated your love to me and Tatted Treasures. A few weeks back I poured my heart out in this post, and the followup post, and you responded. I am definitely feeling the love! Would you like to know where your donations went? Well, 1) a lot of it paid me back for the hosting fees for this blog; 2) a chunk of it is being paid forward to other bloggers and widget creators; 3) some of it I’m putting toward a pair of special glasses I need to help me tat (and, you know, read and drive and live) better. But more on that in another post. Little bits from a lot of people really do add up. Whether it’s for pigs or widgets, we can all help each other to do just a little better tomorrow than we’re doing today. 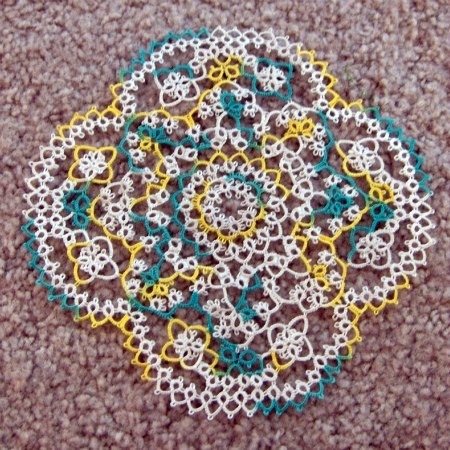 My brief musings on tatting, knotting and designing.